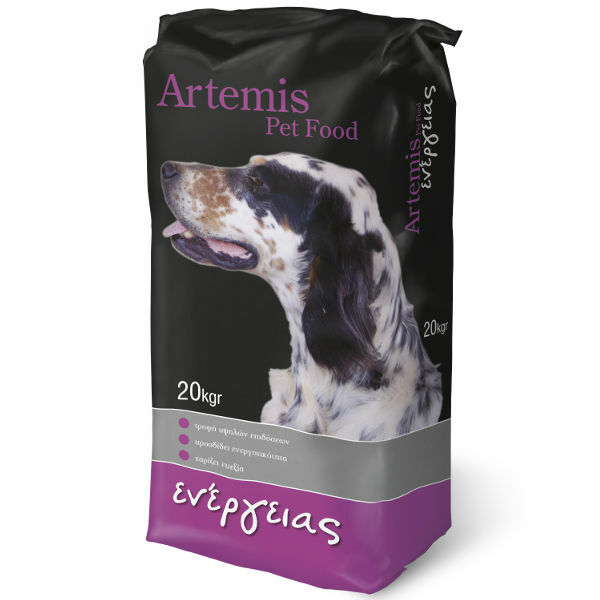 The Artemis Energy is a balanced food that covers the energy that the dogs need in hunting and in their education. It provides the highest result in low price. 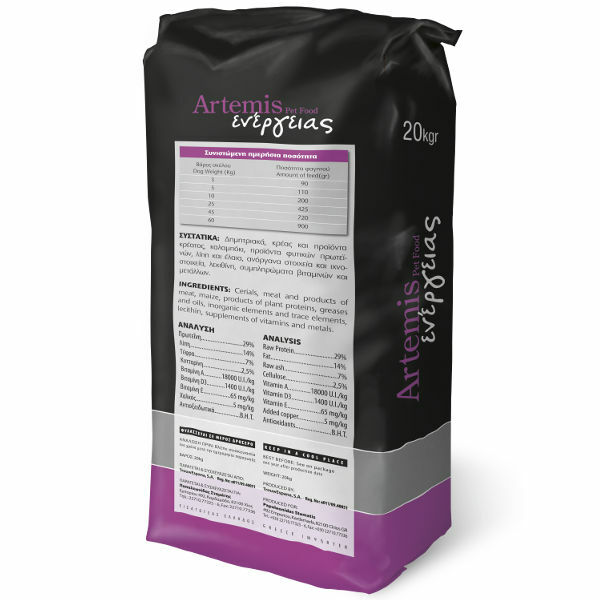 Artemis Energy is a complete food that achieves to provide the highest result in low price. The chicken constituting the base of ARTEMIS ENERGY, renders it exceptionally tasty and particularly digestible in its consumption. The good health and bright coat is achieved with the consumption of it. Artemis Energy it is balanced food that covers the energy needs of dogs in hunting and their education. Antioxidants aproved by EU B.H.T.